Getting laid off is a horrible experience for any employee to endure. When an employee is fired, they have usually committed some offense to warrant their dismissal, but when workers are laid off, it typically has to do with bigger problems within the company that they have played little or no part in. Layoffs do not normally happen out of the blue. Here are 10 subtle signs that those higher up in your company might be considering making layoffs. Management begins cross-training your co-workers. If management at your company begins training employees to perform tasks that have previously been someone else’s duty, it could be a sign that they’re looking to combine several positions into one. If management begins asking you to train people to perform crucial aspects of your own role, this is a dangerous sign that you might be the person being laid off. Management demands the workplace is kept tidier than usual. Most working spaces inevitably become cluttered with personal possessions. If you work in an environment where this has previously been accepted, but management suddenly starts stressing the importance of decluttering, this could be a sign that they will soon be expecting some of your colleagues to clear out as well. Workers in Accounting start finding new jobs. The Accounting department is uniquely positioned in any organization to know the company’s financial situation inside and out. It stands to reason that these employees are the first to know when the company is in trouble and might be on the verge of issuing layoff notices. Like bees fleeing a shattered hive, when the Accounting department clears out, you should consider doing the same. The Chief Finance Officer is replaced multiple times. Another person who knows the company’s finances inside and out is the CFO. There are two possible reasons for a company’s CFO changing repeatedly in a short period: either the CFO is fleeing the sinking ship, or problems with the company’s finances have been blamed on the CFO. Regardless of the reason, a lack of stability within the role of CFO is a potential warning sign that layoffs are in the near future. People start dressing nicer than usual. If your co-workers are coming into work dressed in their best suits, they might be attending interviews with other companies. If these colleagues also arrive late or leave early, the chances that they are heading to an interview somewhere are even higher. When the individuals doing this are in upper management and administrative positions, it’s a huge red flag that layoffs may be coming soon. Upper management starts asking questions about your job. If you’re being asked to detail the tasks you perform in your job or account for how your time at work is being spent, management may be trying to determine how integral you are to the company. This is especially true when you usually answer to someone directly above you, but you begin receiving these questions from managers higher up in the company. Your company employs a new CEO with a history of restructuring projects. The arrival of a new boss always means upheaval in any workplace. To figure out just how big of an upheaval you’re in for, it’s worth searching for details on a new CEO’s employment history. If they have a resume heavy on restructuring projects, it’s likely they’ll be considering making layoffs at your company. CEOs who are best known for restructuring are typically known as Transformational CEOs. While they can do a lot of good for a company, they can also mean bad news for your prospect of continued employment. Your company employs a new CEO who spent less than 2 years at their previous company. 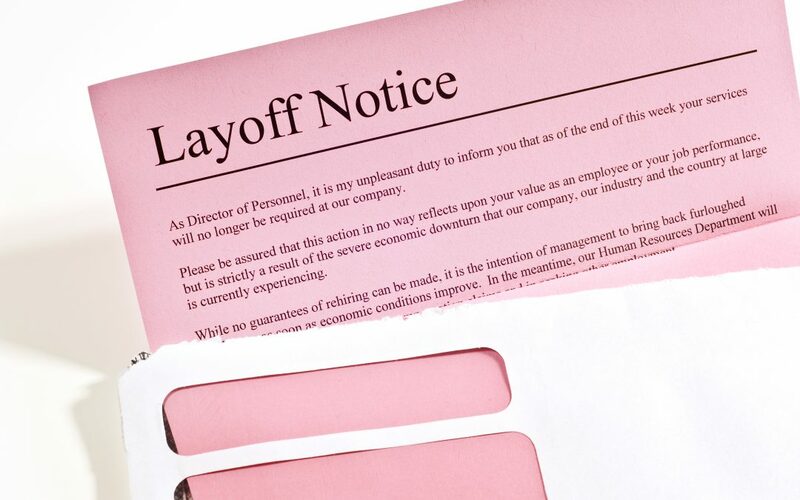 Another warning sign that a new boss may mean layoffs is when the company’s new head spent less than 2 years in their previous role. This could mean that the new CEO is the type to boost profits in the short-term but leave once things start to become unstuck. Your company stops hiring new staff. A slowdown in hiring is another warning sign of future layoffs. If you work for a company which previously had a regular intake of new staff, a freeze or slowdown in hiring may mean the company is trying to cut costs. Once they’ve saved all they can through stopping hiring, layoffs might be next. Harassment, bullying and unfair treatment become prevalent. This is the most unpleasant warning sign of coming layoffs that any employee may have to endure. If managers begin treating their subordinates more harshly than usual and making their jobs more difficult, they may be trying to encourage those beneath them to quit. If these workers don’t leave voluntarily, they may be forced out in the first round of layoffs. It’s unlikely that any work environment will exhibit all 10 of these warning signs prior to laying off staff, but most will experience at least some of them. If you see any of these warning signs in your workplace, it might be a good idea to spruce up your resume and see what else is available. Don’t be left empty handed. Check out these tips to walk away with a comfortable severance package. Evolution Coaching, an elite Career Services company, offers a series of career management documents, services, and tools to help you compete in the tough job market. By hiring one of our Certified Professional Resume Writers, you will be able to expedite the job search process and invest more time preparing for interviews as we develop your resume and career campaign management tools!